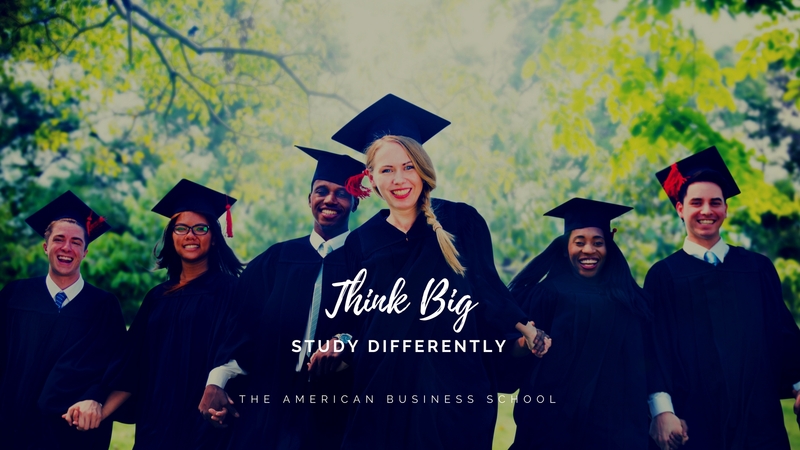 The American Business School of Paris aims to train its students to become future business leaders who think internationally, take initiatives, and can work in multicultural teams. In partnership with U.S. universities, the American Business School of Paris has adopted the American higher educational system, recognized worldwide. The business school combines interactive project-based teaching with a specifically designed program that allows you to develop your personality, independence, and sense of initiative. To facilitate your transition into the workplace, the American Business School of Paris has also adopted French best training practices: internships, seminars, and individual coaching. 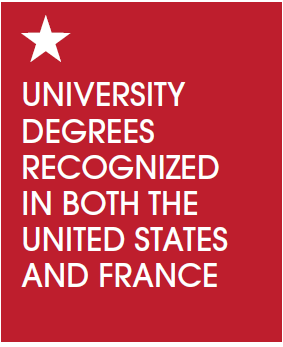 The American Business School of Paris offers American degrees accredited by IACBE in USA and French degrees accredited by the French Public Authorities. Paris, also known as the “City of Lights,” is a magnet for world culture and business. Our international students discover a place that acts, in essence, as a “hinge” between Europe, the Middle East, Asia…as well as the United States. For our students, France is both a nation of tradition and a 21st-century country focused on careers and values of the future. Finally, I would like to emphasize that we do not just train and prepare our students for international careers, we also support them in their professional endeavors, both during and after their studies, up until our alumni are able to find a permanent position in a company that is suited to their skills and aspirations. As you can see, the support we provide our students never ends! Choosing our Bachelor in Fashion and Luxury Retail Management in Paris will ensure your future success in the world of international fashion and luxury retail management. The American Business School of Paris has developed a program specifically dedicated to international fashion and luxury retail management, fully taught in English and tailored to American academic standards. The Bachelor’s degree in Fashion and Luxury Retail Management in France is a 3-year European Bachelor’s degree program developed at the request and with the input of major luxury goods and fashion companies. Why Study Fashion and Luxury in France? Luxury and Fashion sectors are booming; market studies and research predict current growth to continue for the next 20 years and France is by far the market leader with a 29% share in this €212 billion global market as recently as 2013. Therefore it is no surprise that French luxury and fashion companies are, and will continue to be, a major source for jobs in this field worldwide. The Bachelor in Fashion and Luxury Retail Management is emblematic of our international focus with courses taught entirely in English and a cosmopolitan student body and faculty who offer an ideal multicultural environment in which to prepare for a career in the global industries of fashion and luxury. Study abroad opportunities also allow students to enhance and develop their international perspective. The curriculum is highly professionalized both in terms of course layout and its faculty (some courses are even taught by professionals in the fashion and luxury sectors). It also includes up to 14 months of internships and corporate placement during the 3-year the program, an invaluable learning tool. Please note that the school organizes internships and corporate placements in France. The American Business School of Paris Bachelor’s Degree in Fashion and Luxury Retail Management is recognized in France by the Registre National de la Certification Professionnelle (RNCP, French National Directory of Professional Certification), “Responsable du Développement Commercial et Marketing,” niveau II, delivered by ICD Business School, arrêté du 19 nov. 2013, JO 29 nov. 2013, code NSF 310m. Luxury is the refinement of the norm and can be created for practically every type of product. France is uniquely positioned on the market and the French brands have mostly adopted the dual approach of developing both high end luxury and affordable luxury goods. The growth of the industry will be fueled both by new markets and the increasing cross fertilization between the luxury sector and industry. New challenges face the sector, and notably e-tailing. Our Bachelor program is taught entirely in English and was designed with the input of professionals in the field. It allows our graduates to prepare for the future jobs and international careers that will appear in the luxury goods and services sector, with an emphasis on sales management. Students will graduate with a degree registered with the French Ministry of Labor & Industry at the Bachelor Degree Level. Corporate Relations and Professional Coaching Services at the American Business School of Paris help students develop their hiring potential throughout their studies while providing them with a 360° vision of different business sectors. Our Corporate Relations Manager guides each student throughout their studies at ABSParis in order to help them build a professional path and assists them in their search for internships as well as their first job. Each year, students take a series of workshops with experts in recruitment, communications and social networking in order to create their professional portfolios. While highlighting their skills and strengths, students are taught how to incorporate impactful tools, e.g. CVs, cover letters, pitches and LinkedIn profiles, into their interviews so that they can walk out of the interview feeling like they nailed it. From the very beginning, Laura wanted to help develop a luxury brand. It has been a great honor for me to be a founding instructor in Luxury Brand Management at the American Business School that has been the first in France to offer a Bachelor specialized in Fashion and Luxury Retail Management in English. The luxury retail industry has been thrilled by this move to prepare students for such a fast growing field where education has lagged behind industry needs. As a result we have attracted some of the leading fashion and luxury retail partners and expect our students to be spoilt with job offers prior to their graduating. Students at this school get more courses from me that those on MBA Luxury programs elsewhere and the projects given are not much easier. It’s a great school for serious students who have the curiosity and stamina required.